ati-atihan Archives - All Chucked Up! 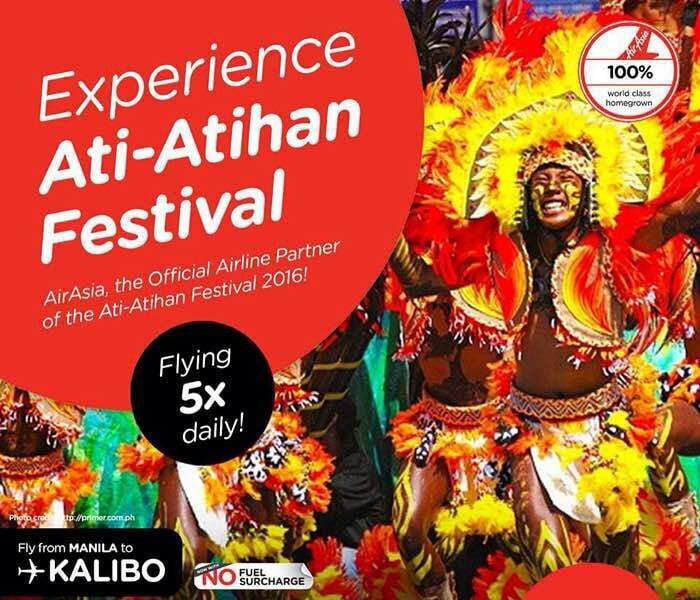 Are you raring to head over to Kalibo and join the Ati-Atihan festivities? Perfect! 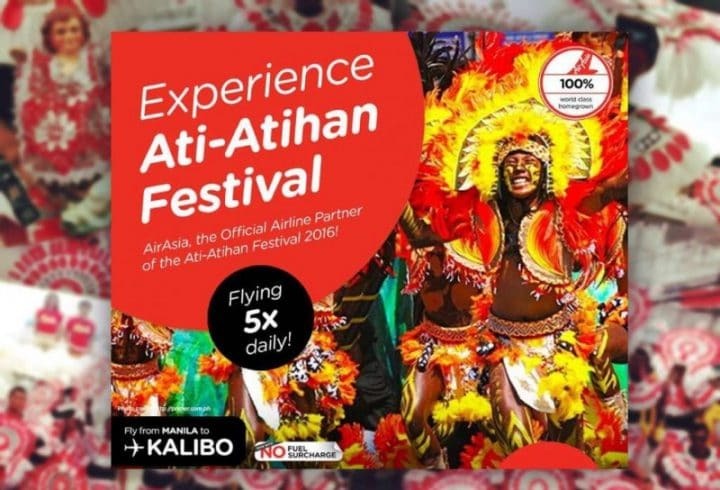 There’s no better time than now to fly with Philippines AirAsia, the official airline partner of Ati-Atihan festival 2016, and get exclusive discount treats and bargain deals! For the first time, Philippines AirAsia is this year’s proud airline partner of Ati-Atihan festival in Kalibo – and the World’s Best Low Cost Carrier for seven straight years running since 2009 is celebrating with exclusive treats for its guests flying to/from Kalibo from Manila and international destinations of Kuala Lumpur in Malaysia, Busan and Seoul in South Korea and various points in China.